Did you ever think that a person in possession of an assortment of fresh baked and beautifully frosted cupcakes could feel saddened by it? Until today, neither did I. 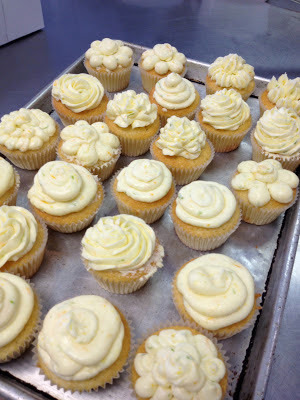 We selected from a collection of cake recipes and had free range to pair with any frosting recipe or variation… I challenged myself to whip up an Italian Meringue Buttercream that I flavored with citrus zest to top my White Wine Cupcakes brushed with Triple Sec. Sound good? Sound a little familiar? Last week, we worked on breads, so we talked about kneading the dough to create gluten. This week with cakes, we returned to the same basic rule of pie making – mix only as much as needed. During class, this meant that unless you had to cream your butter (whip it up to create air pockets), you were mixing by hand. My White Wine Cake batter was mixed up with canola oil, so I whisked it by hand. 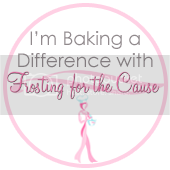 Maybe it’s because I’m comfortable making cake batters or maybe it’s just because I chose a recipe that came together quickly, but this week I was the first person walking over to the oven. This is notable to me because every other week, I’ve been one of the last if not the very last person finished. Once my cupcakes were in the oven, I prepared my ingredients to make Italian Meringue Buttercream, a smooth buttery frosting that incorporates egg whites and sugar syrup. I’ve dared to try my hand at a Swiss Meringue Buttercream once before to top my Roasted Strawberry Basil Cupcakes. 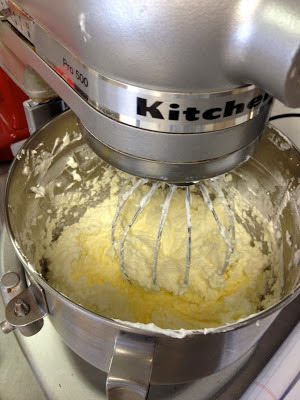 The rule I had to remember as I sat at the kitchen table holding a hand mixer in place for about 25 minutes, was that when making Italian or Swiss Meringue Buttercream, keep mixing until it’s smooth. Just don’t stop. It will get there. 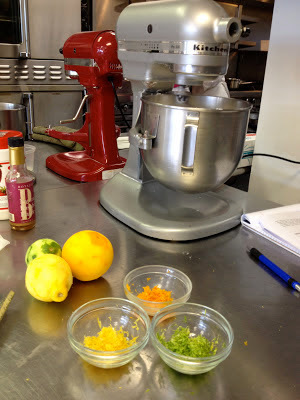 Our sweet Chef Instructor walked around causing problems with everyone’s batches of Italian Meringue Buttercream to show us that it can and will get better. She added butter too quickly to my batch to turn into the consistency of ricotta cheese. Two minutes on high resolved the issue and turned it smooth again. I’m going to call my final creation an original recipe, because Italian Meringue Buttercream almost always follows the same formula. The flavors are what distinguish one from another here. These flavors were all me! Citrus Italian Meringue Buttercream (a Young Idealistic Baker original-ish)"
To complete the process of turning my White Wine Cupcakes into Sangria Cupcakes, I brushed each cooled cupcake with Triple Sec before frosting. When it comes to infusing baked goods with alcohol, I’m of the “more is more” policy. And with that, it’s now past 5:00 on the east coast.